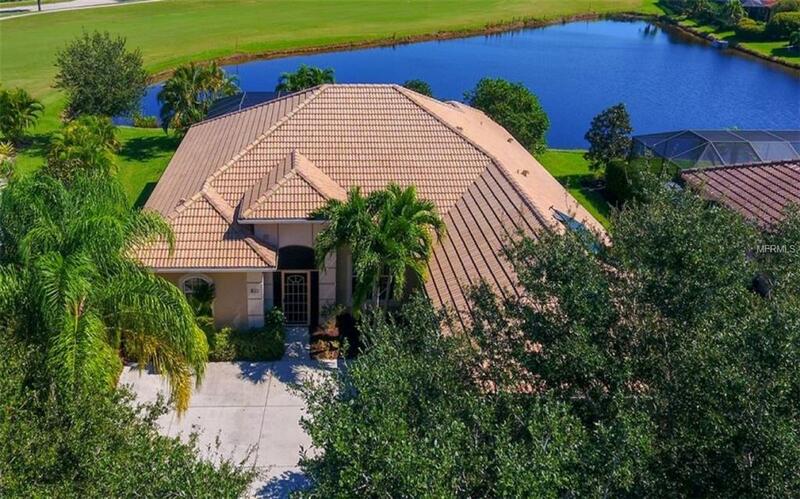 Welcome to Pelican Pointe Golf & Country Club where this expanded "Siesta II Great Room home delights in perfect lake and golf course views. Customized features fuse with open spaces and idyllic indoor/outdoor living that encompasses a 1,400 sf screened lanai with koi pond, waterfall, stream, and low-maintenance tropical landscaping. Entertain to your hearts content surrounded by exquisite finishes crown moldings, decorative lighting, audio surround sound, and a wealth of built-ins. Achieve culinary excellence in the kitchen with butcher block countertop, double electric ovens, 42 hickory cabinets, and a 306-bottle wine refrigerator. Gas cooking in the kitchen and outdoor grill comes from a 55-gallon master propane tank. The master suite includes a Jacuzzi spa, Roman shower, dressing table, walk-in closet storage system and sitting area. A pocket door creates a private wing for two guest bedrooms and bathroom with shower. The screened lanai is a tropical oasis overlooking a horizon of greens and blues, already sized perfectly and priced for the installation of a pool/spa without replacing the screen. Built-ins include: entertainment center in great room & den; desks in the den and breakfast area; and bookcase in guest bedroom. The laundry room and side entry garage have ample storage capacity. Low HOA fees include social membership at the clubhouse, internet cable package, lawn maintenance and more. 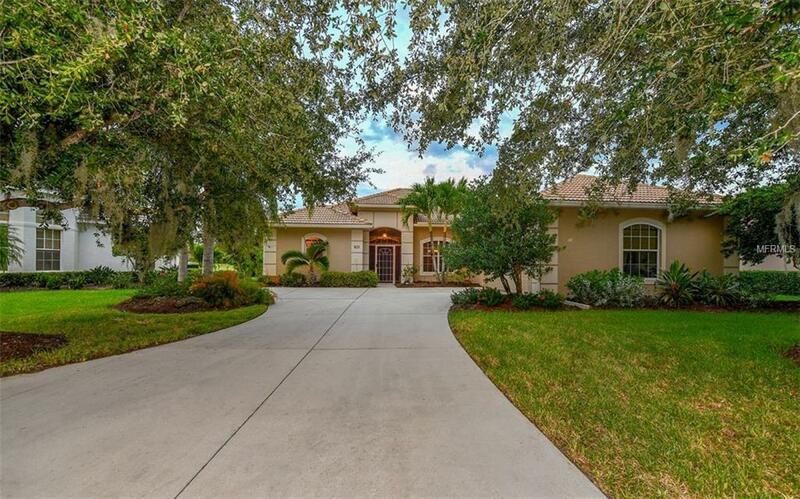 Located on a private cul-de-sac with only 12 homes, this truly is a tranquil retreat beyond compare.